I had no sooner written the above paragraphs when Canada’s Foreign Affairs was also joining the US in endorsing an ongoing coup d’etat in Venezuela to overthrow its elected socialist presidency to install, in newspeak phrase, “the only legitimate government” in its place, the leader of the opposition party. Canada’s Foreign Christina aka ‘Chrystia’ Freeland – a near slogan itself – Christian Free Land – is the speaker of the doublethink endorsement of the attempted Venezuela coup d’etat today by its opposition leader. 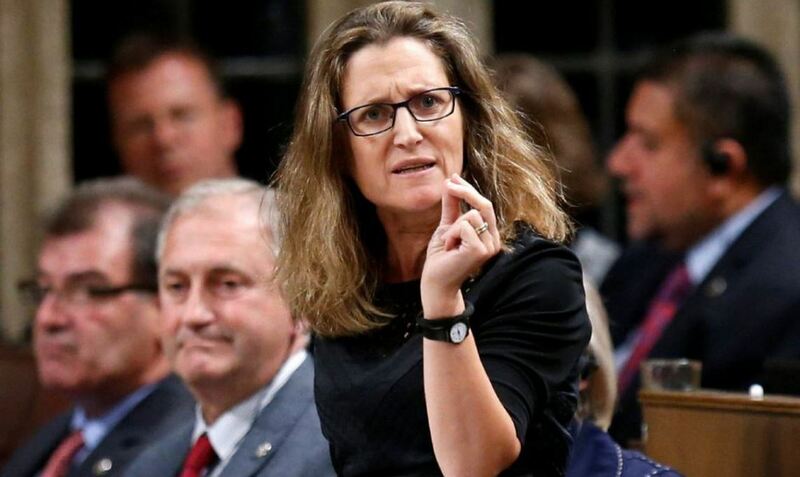 Minister Freeland is used to legitimating coup d’etats as legitimate, even when they are by mass-murderous means led by avowed Nazis, as in she has done in Ukraine since before its violent coup in 2014. ‘Stopping Putin and Russia’ is her justification, as always the official Enemy since armed Russia resistance against NATO expansion over its traditional borders through Ukraine. Minister Freeland also leads the forcible arrest and detention of China’s leading global Telecomunications CFO on behalf of the US prior to her legitimizing the opposition coup of the elected President of Venezuela. Canada’s Foreign Minster paradigmatically expresses the ruling syntax of the Enemy cornerstone of official culture in Canada as well as the US. It is the ‘rule of law’, even with no sovereign law supporting it. Abuse is poured on anyone reporting the facts – including on the NDP leader who has ‘written his political obituary’ for worrying that the US may be leading another coup d’etat in Latin America. “Venezuela has probably the most excellent voting system I have ever known”. Sudden death sports, trade-wars, coups d’etat, big-news arrests, and so on become an endless spectacle news cycle. 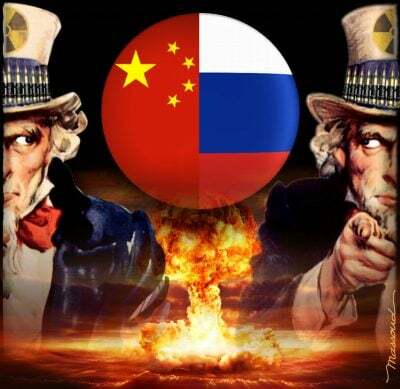 Pretentious diversions, whopping falsehoods, and bizarre extremes entertain screen-addicted populations as the world’s common life-ground collapses. Nothing is connected to anything else as life-and-death turning points become who can win next in the frenzy of derailment of the terrestrial life support systems of all. This is ‘the Free World’. Yet ‘full spectrum dominance’ is the bipartisan US objective no-one calls into question. Reverse-blaming others is the method of attack. “Freedom’, ‘democracy’ and ‘rule of law’ are the idealized justifications. Trump’s new Space Force for “space as a war-fighting domain” expands the reverse projections into US –led military pollution and control of the earth’s skies. Who can be opposed to more security for America against the terrorism of its enemies? Adoption of the US-Enemy framework of meaning reverses all reality and facts into their opposite with no end until the dots are publicly connected. John McMurtry is University Professor Emeritus at the University of Guelph and elected Fellow of the Royal Society of Canada. His work has been translated from Latin America through Europe to Japan, and he is the author/editor of UNESCO’s three-volume Philosophy and World Problems, as well as more recently, The Cancer Stage of Capitalism; From Crisis to Cure. He is a frequent contributor to Global Research.